Independent presidential aspirant Ras Chikomeni David Chirwa has had his nomination papers turned down by the Malawi Electoral Commission (MEC) on Wednesday. According to Malawi Electoral Commission (MEC) Chairperson Dr Jane Ansah, Ras Chikomeni failed to meet two of the conditions set forth by the electoral body. 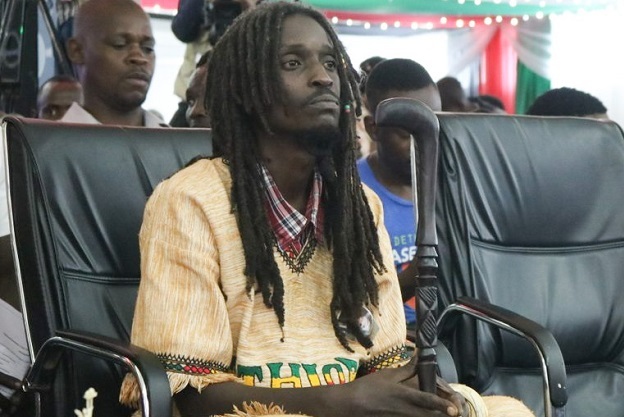 Ansah announced that Ras Chikomeni failed to pay the sum of K2 million fees as it is a requirement in section 45 of the electoral law. She said Ras Chikomeni also failed to have enough nominators from 19 districts on his nomination papers. He has been given 48 hours to fulfill requirements and present the nomination papers again. Ras Chikomeni is the only presidential candidate in the history of Malawi to name his birth mother as his running mate. His mother is an economist and a retired civil servant. He claims he is contesting as an independent presidential candidate because political parties in Malawi do not carry the hope for Malawi as many people join parties with ill motives of benefiting themselves should the party be voted into power. Before venturing into politics he was once a singer and he released his first album in the year 2000. Born in 1977, the name Chikomeni means ‘kill it’ since soon after he was born, one of his grandparents died.